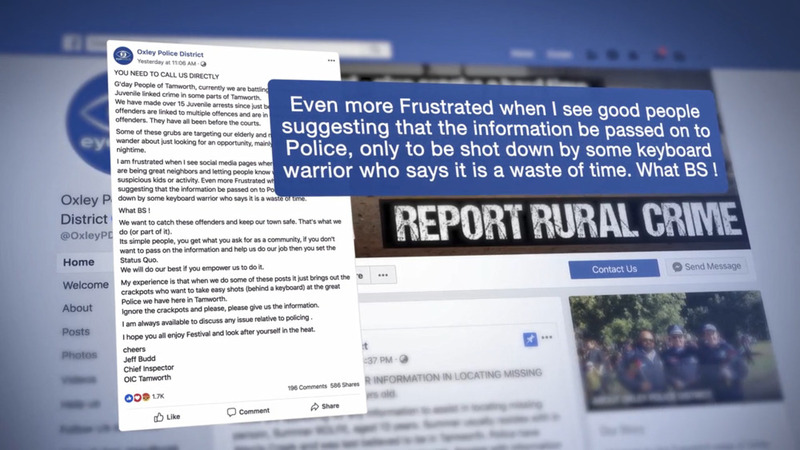 Tamworth police have taken to social media to express their frustration over the level of public scrutiny they’re receiving online, particularly via Facebook. “The message is that people, rather than get on Facebook and make comments on Facebook about crime, is please contact us and we’ll act swiftly,” Superintendent Fred Trench. Police have made more than 15 arrests of juveniles since just before Christmas and say Operation South Break, targeting property crime, is ongoing.